Why do we have to eat cranberries and blueberries in the summer and what they are good for. If we want to keep fit and get the perfect diet for us here is my advice: cranberries do reduce weight! Cranberries and blueberries contain special substances which favorably to bone health. If we want to lose weight, let's eat cranberries and blueberries! To lose weight should start eating blueberries because they reduce the number of fat cells in the body by up to three quarters, say many researchers. Researchers found that blue berries can remove the fat and prevent the formation of new cells, making them potentially powerful weapon in the fight against obesity. Blueberries, reducing the risk of cardiovascular disease and type 2 diabetes, contain high levels of polyphenols - substances with potential health benefits. Tests revealed that polyphenols may reduce the number of fat cells in the body by 73 per cent (at high dose) and 27 per cent - at the lowest dose. Survey results show that the highest dose of blueberry polyphenols reduces lipids in tissues with nearly three quarters, and at the lowest levels - more than a quarter. Blueberries have the potential to become an effective tool for weight loss. Scientists need to do some more research to find the optimal dose of polyphenols and to exclude possible side effects. 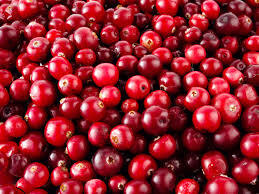 Animal studies show that taking cranberry extract increases bone density. In laboratory tests the blood of animals was found that the serum of blue berries makes the bones healthy. discovery could lead to the development of new methods for preventing disease such as osteoporosis, are associated with bone loss. There is however more studies to prove safety and efficacy of this therapy in humans. The scientists say that cranberries are good for teeth as destroy bacteria in the mouth that attack tooth enamel. The battle of good oral hygiene actually attack the microbes that feed on adhering to the teeth sugar and carbohydrates and produce acid which attacks the surface of the teeth. Laboratory studies demonstrated the potential of natural ingredients that will eventually be incorporated into toothpastes or fluid to rinse the mouth to stop the deterioration of the teeth, the researchers explain. Cranberries contain ingredients that fight glucans (molecules that stick to tooth enamel and provide refuge for bacteria). These ingredients do not destroy bacteria themselves, and their fortifications. Researchers have isolated compounds called proanthocyanidins in cranberries, which reduce the production of glucans by 70 per cent in animal experiments.